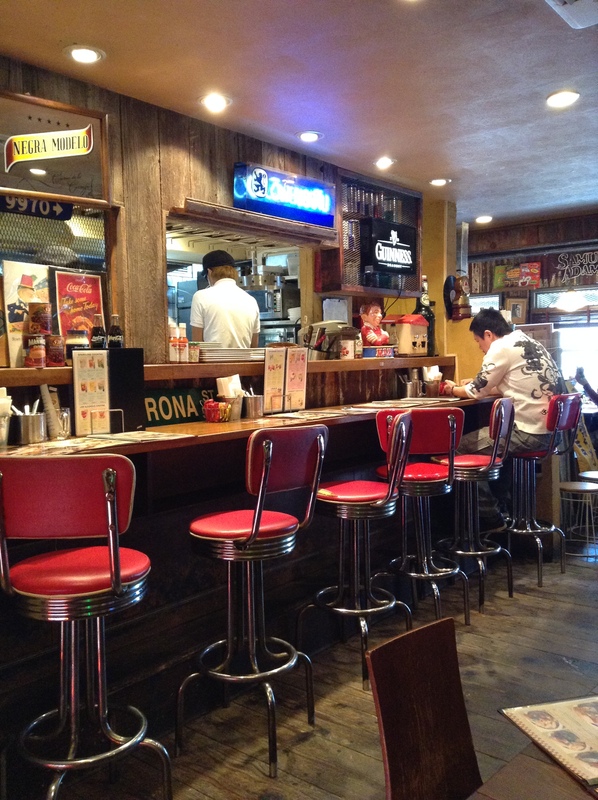 At my local coffee shop, Cribe, in Kokubunji, I often meet coffee shop owners. 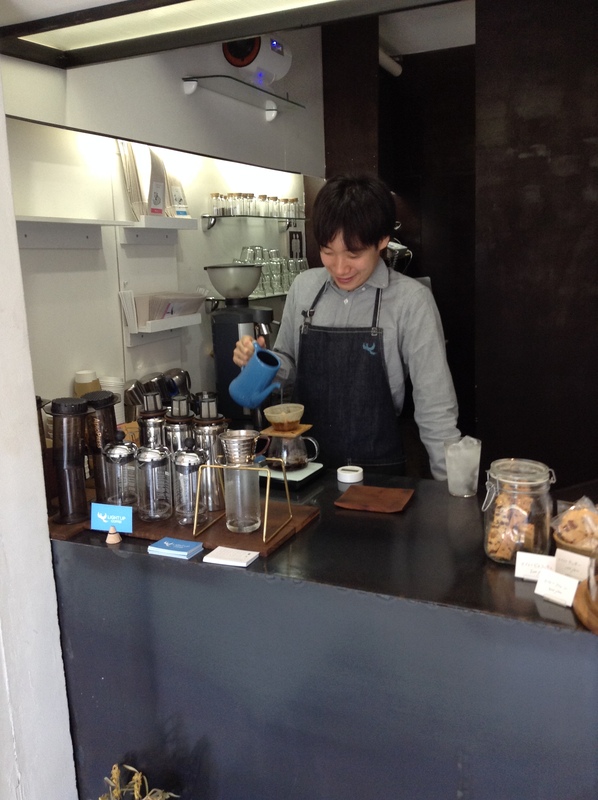 The other day I met a very young Aihara-san whose shop, Light Up Coffee, is in Kichijoji. Light Up was on my my radar thanks to recommendations from Twitter friends. Arigato, Twitter! 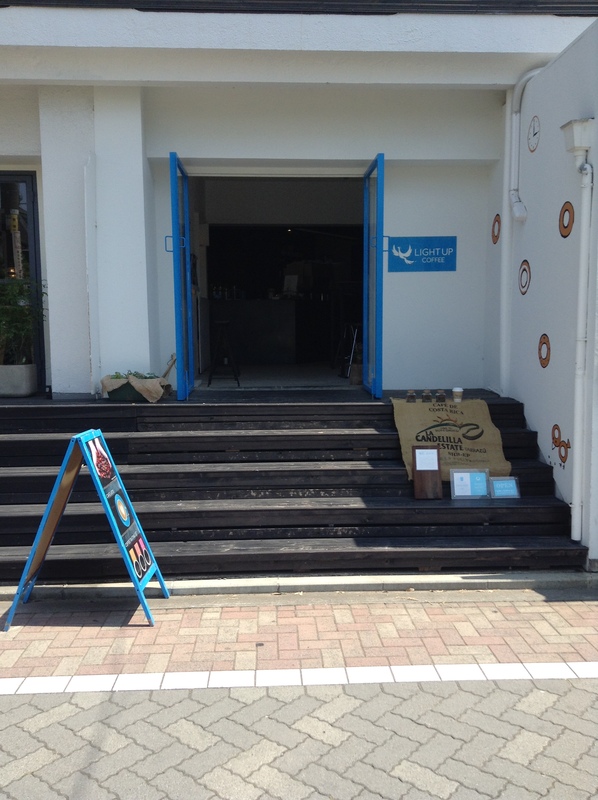 Light Up Coffee is about a seven-minute walk from Kichijoji Station’s North Exit. Take a left out of the North Exit and walk straight. The street is filled with fun shops selling trinkets, antiques, clothes, and things you don’t need, but desire as they are “kawaii” (cute). Across the street is a park and this morning it is filled with nursery school kids laughing and crying. This is a residential neighborhood this far from the station. 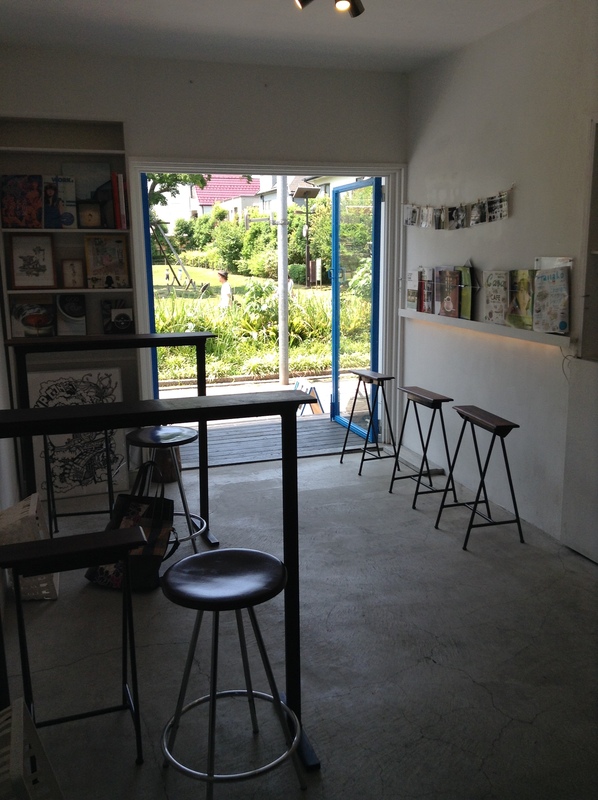 From the back of the shop is the hum of the small coffee roaster. I walk to the back and find Aihara-san tending to the beans. He helps me choose from the day’s coffee and recommends Kenya Kariru. It has a soft acidity and is reminiscent of a strong-brewed tea. There are several Japanese magazines to peruse and even some English coffee books, including Blue Bottle’s gorgeous book. The furnishings are simple. Two skinny wood counters with skinny chairs. There is a cool breeze as there is a back door that is opened. Aihara-san brings me a second cup, also from Kenya, but a new bean called Tegu. He said the Kenya bean was changing. This was fruitier and hand hints of tomatoes. Different from the first. At Light Up one of the menu options is a flight of coffee, a great chance to taste different coffee next to each other. Light Up Coffee is open seven days a week. On Tuesdays he has shorter hours. 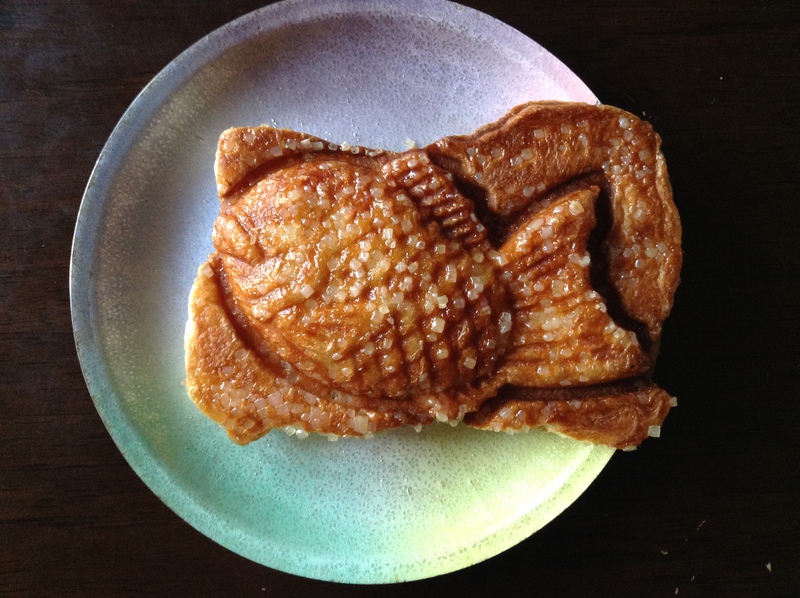 Wednesday – Monday 9:00 a.m. – 8:00 p.m.
Tuesdays 12 noon – 5 p.m.
Taiyaki is a traditional Japanese sweet that is usually a pancake like dough that is stuffed with azuki bean paste and grilled in a fish (tai is the Japanese word for sea bream) shape. I am usually not a big fan unless they are hot off the grill as the dough gets very soft and it is just a mushy cake. Today in Kichijoji (武蔵野市吉祥寺本町1-7-10; Musashino-shi, Kichijoji Honcho 1-7-10) I came across a new shop that just opened in early February called Croissant Taiyaki. Basically taiyaki but made with croissant dough and studded with sugar crystals before it is grilled. Brilliant. The croissant dough bakes and is crunchy and especially crispy on the outer bits. 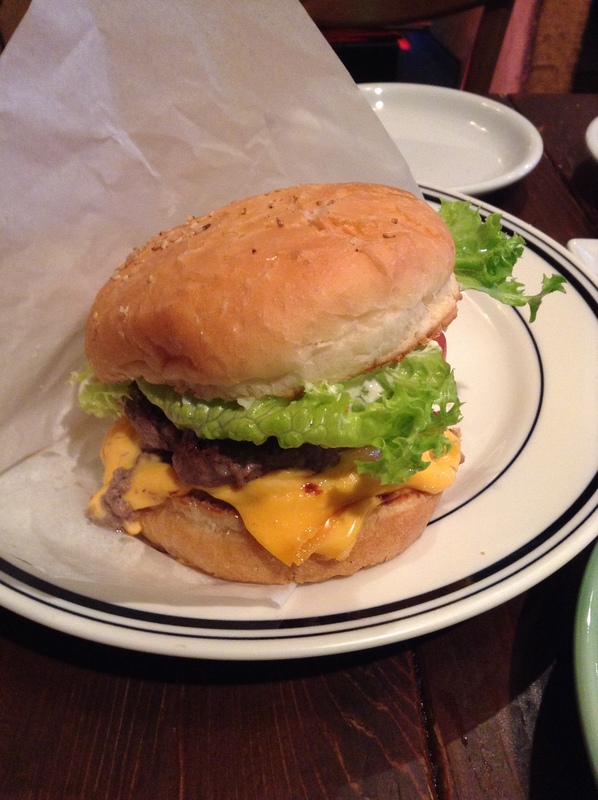 The azuki was the chunky-style, not the smooth paste. The taiyaki sells for 200 yen each and was the perfect mid-morning snack. This evening in Shinjuku I came across a second shop at the famous Studio ALTA just outside of the Higashi-Guchi East Exit. It had a line and seemed to be very popular. 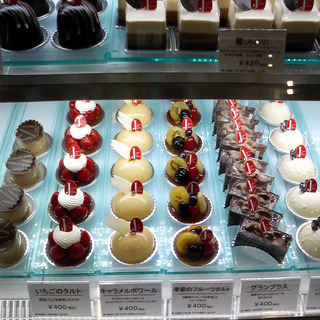 There are currently 13 shops in Tokyo, including one inside of Tokyo Station’s in the Keiyo Street section. 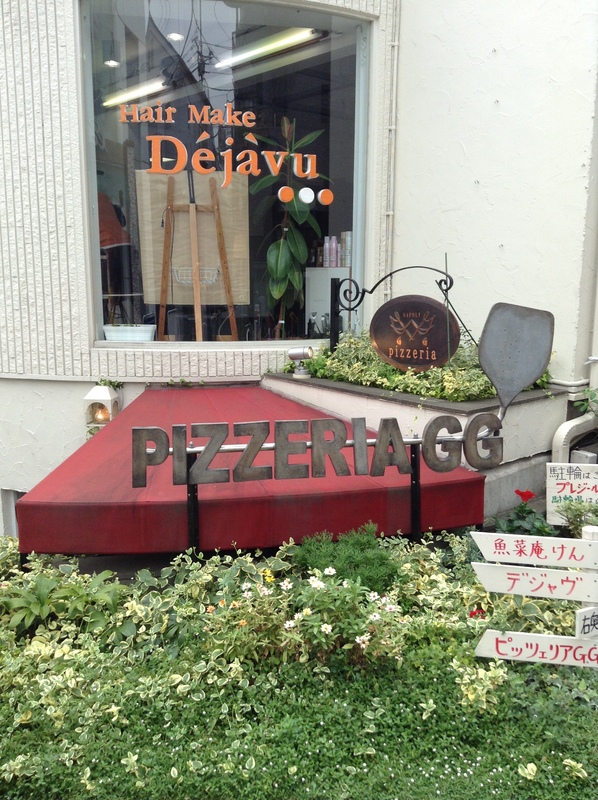 Anyone who knows the Tokyo food scene is aware of the many wood-burning ovens and great pizzerias in the city. 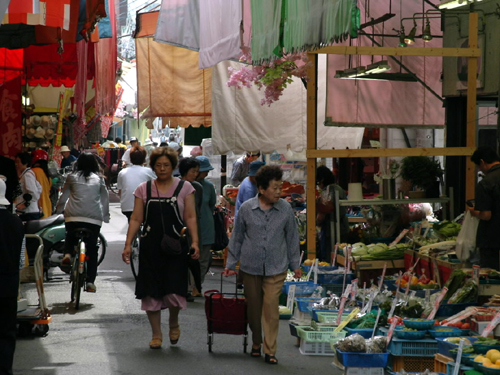 Some of my favorites, like Seirinkan in Naka-Meguro, are a trip for me to get to. I’ve been looking for something closer to where we live on the Chuo line. Sadly, most of it is disappointing. I’ve heard of Pizzeria GG but have had the hardest time locating it. I’ve seen it on TV and in magazines, but for all of the time I spend in Kichijoji, I’ve never been able to find it. Finally, with the help of an iPad and some satellites far up in the sky, I succeeded. I had walked by it for months. If you don’t know what to look for, you two will walk right by. I was with our son this day so took the meat pie. It’s a large pizza and one should go on an empty stomach. The crust was thick on the edges and thin in the middle. For me it’s a great pie. 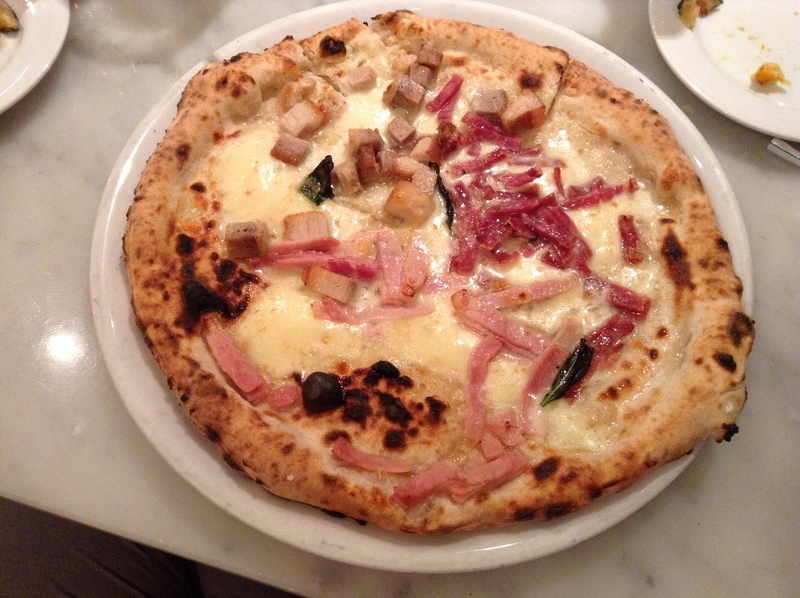 The dough is chewy, toppings are generous, and best of all, it’s close to home. 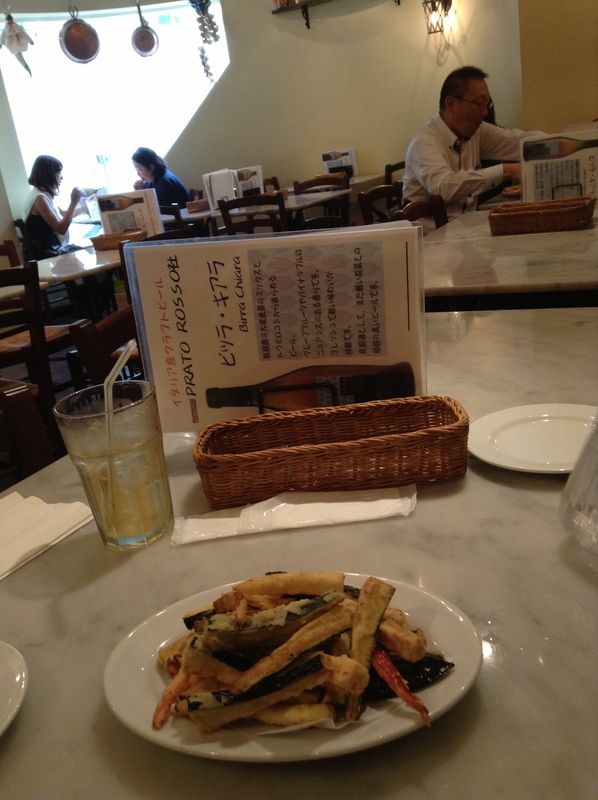 The fritto misto was of zucchini, bell peppers, and sweet potatoes. Hot out of the oil and our serving of vegetables for this lunch. 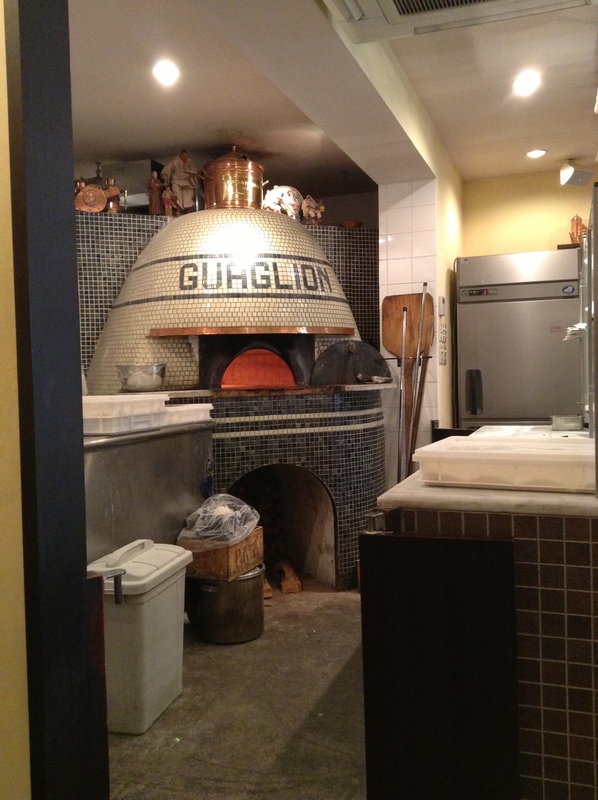 Proper wood-burning oven. And, the exterior, which I have marched right by. I even stood in front of it, holding my iPad that said I had arrived at my destination, and couldn’t spot it. Will definitely go back. It’s very close to the lovely Inokashira Koen, which would be perfect for a long walk before (or after) the pizza. I hear it fills up quickly on the weekends, so go early or late. Better yet, come on a weekday if you can. 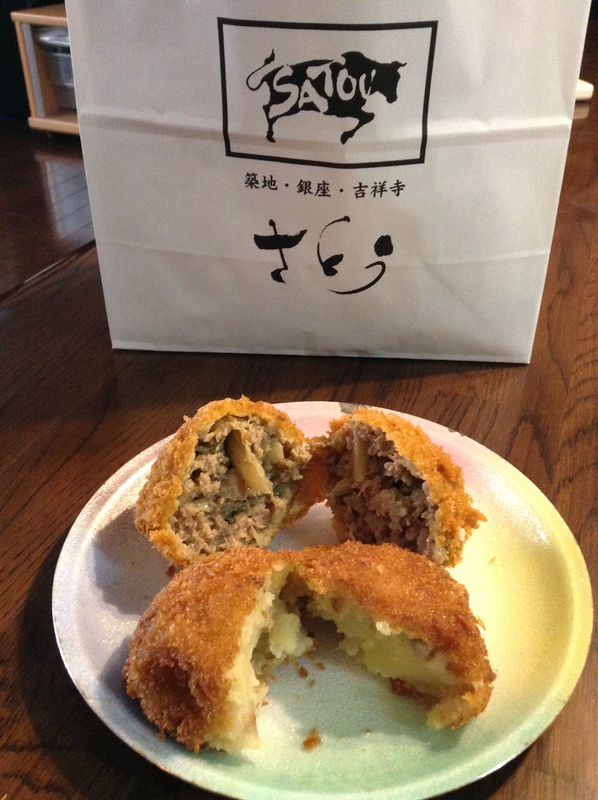 The December 2011 issue of Cuisine Kingdom (料理王国) lists some Japanese patissiers and chocolatiers worth getting to know. I am listing them here. On a side note, it also includes a friend of ours, Shinji Oyama, who is in charge of all of the public relations for the Tsuji Chori Gakko.